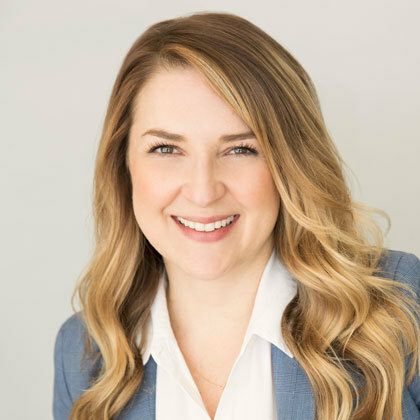 FORT WORTH, Texas--(BUSINESS WIRE)-- Elevate Credit, Inc. (NYSE:�ELVT) (“Elevate” or the “Company”), a leading tech-enabled provider of innovative and responsible online credit solutions for non-prime consumers, today announced that it has promoted Kathleen Vanderkolk to Chief Risk Officer. As Chief Risk Officer, Vanderkolk will oversee regulatory compliance and enterprise risk management operations including risk identification and mitigation activities – reporting to Elevate’s Board of Directors. She will work closely with the Elevate executive and legal teams to identify opportunities for enterprise risk reduction in support of the company’s strategic plan. Vanderkolk will lead a team of 15 compliance and risk management professionals. Vanderkolk brings more than 12 years of experience in consumer lending law, including regulatory, compliance, licensing and litigation support for credit card, mortgage, auto, personal and other installment lenders. She joined the company in 2013 as Senior Regulatory Attorney and has held roles of increasing responsibility since then, first as Corporate Counsel and most recently as General Counsel. Previously, Vanderkolk was an associate at Dreher Tomkies LLP in Columbus, Ohio. She received a J.D. from Capital University Law School and a B.S. in English and Communications from Duquesne University. Vanderkolk is a graduate of Elevate’s Executive Excellence (E3) Program, which puts high-performing executives through an intense year-long program designed to unleash potential, build leadership capabilities and ready them for future leadership roles at the company. “Kathleen is a very talented leader who has worked tirelessly within regulatory and compliance teams since 2013. Most importantly, she understands our culture and emphasis on risk management,” said Ken Rees, Elevate CEO. Elevate, together with its bank partners, has originated $6.7 billion in credit to more than 2.2 million non-prime consumers to date and has saved its customers more than $4 billion versus the cost of payday loans. Its responsible, tech-enabled online credit solutions provide immediate relief to customers today and help them build a brighter financial future. The company is committed to rewarding borrowers’ good financial behavior with features like interest rates that can go down over time, free financial training and free credit monitoring. Elevate’s suite of groundbreaking credit products includes RISE, Elastic, Sunny and Today Card. For more information, please visit�http://www.elevate.com.